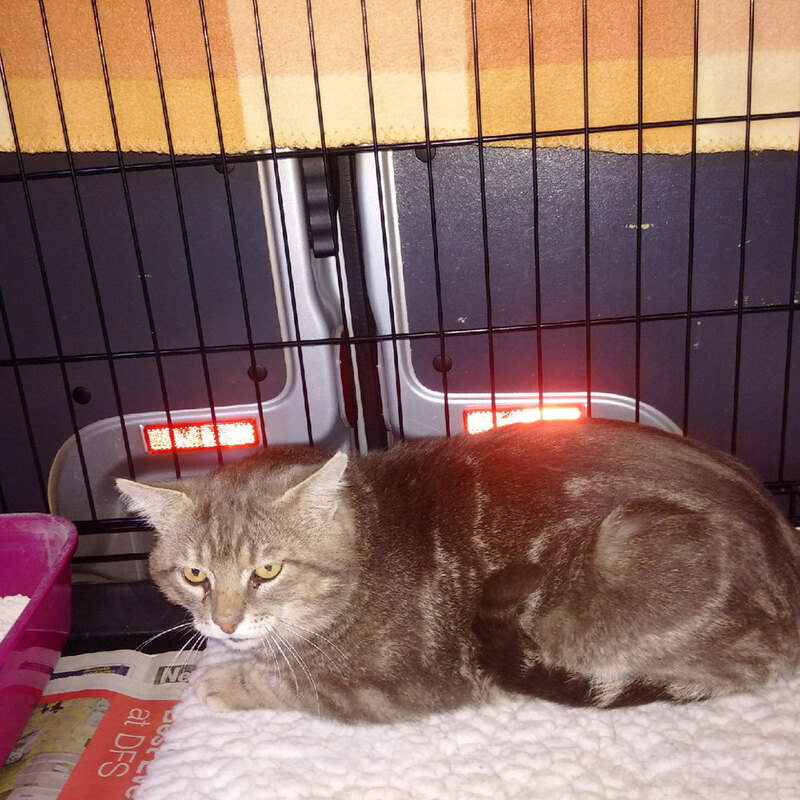 Courier Richard recently made a couple of trips transporting cats from France to the UK. 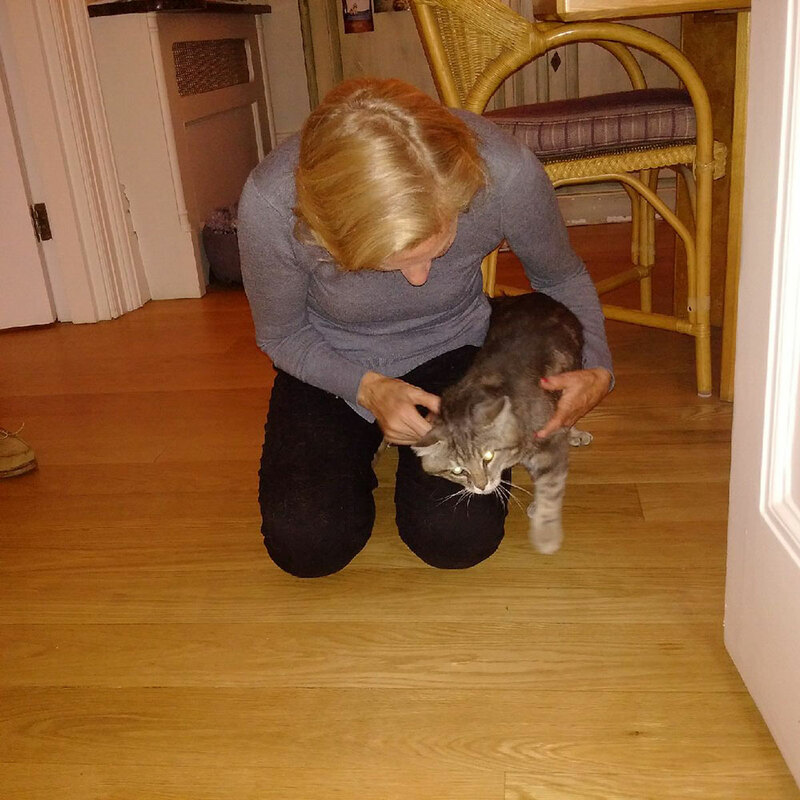 Grizzly (so named because as a kitten he looked like a little bear) and his family have swapped Marseille for London. 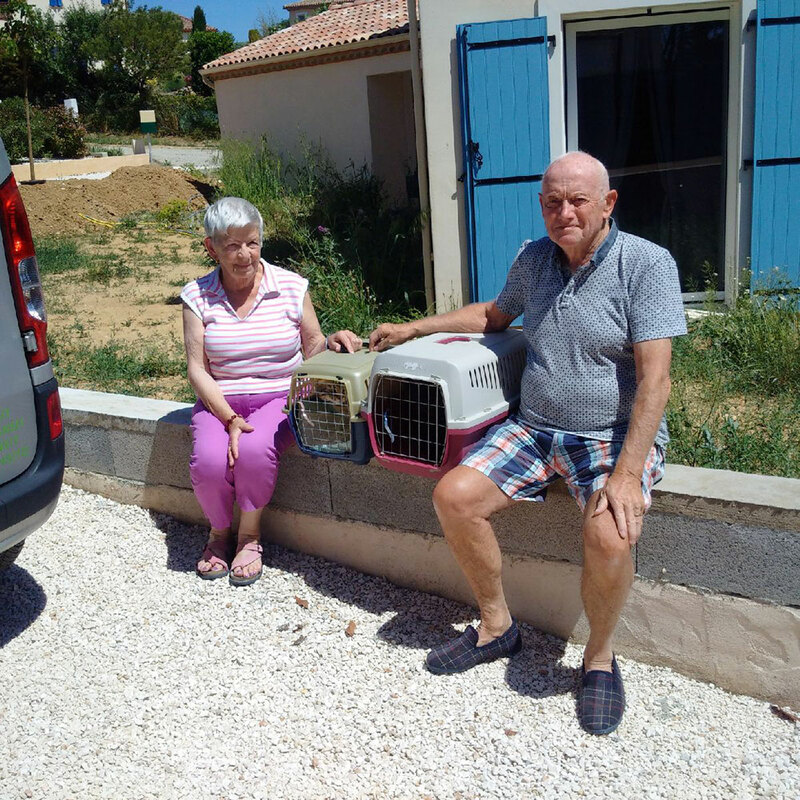 Owners Jane and Ian had to leave Marseille before Grizzly could travel, so they asked their neighbour Eric to take care of him. But Grizzly must have heard we were on our way, because he disappeared! Jane flew to Marseille in the hope of luring him back, but there was no sign of him. So our courier left empty handed. Fortunately, the second attempt was more successful. When Grizzly reappeared, we advised Jane to ask for him to be kept indoors, even though he loves to go out hunting at night. Once we knew he was safely contained, courier Richard went to call for him. Grizzly arrived with Richard last evening. We are thrilled to have him home with us and I just wanted to thank you all and most especially Richard, who was fantastic throughout the whole trip. I can’t praise the service you have given us enough and will always thoroughly recommend your caring and professional service. PS: please tell Richard that Grizzly is booked in at the vet on Monday to be neutered! When Joan and Terry discovered that the plans they’d made to transport Ellie and Sweep had fallen through, they were relieved that Animalcouriers could step in to help get this adorable (but camera-shy) twosome to the UK. They’re staying at a cattery in Norfolk while Joan and Terry tie up the final loose ends in the south of France. Courier Richard arrived at exactly the time he said that he would. He was kind, courteous and helpful. 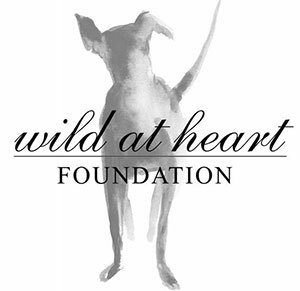 We cannot thank you enough for your professionalism and for all your help in what has been a really stressful time. 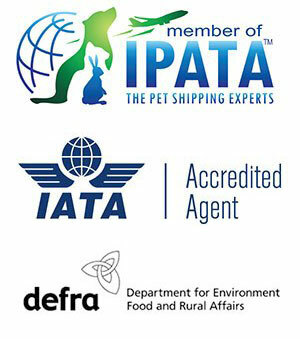 We would not hesitate to recommend you to anyone who wishes to have their animals transported. Gorgeous rescue cats Jing Jing and Tomas have been living in China with Laura and her husband. Now Laura’s husband, who works in CGI tech for films, has a new job in the UK, so the whole family has moved. 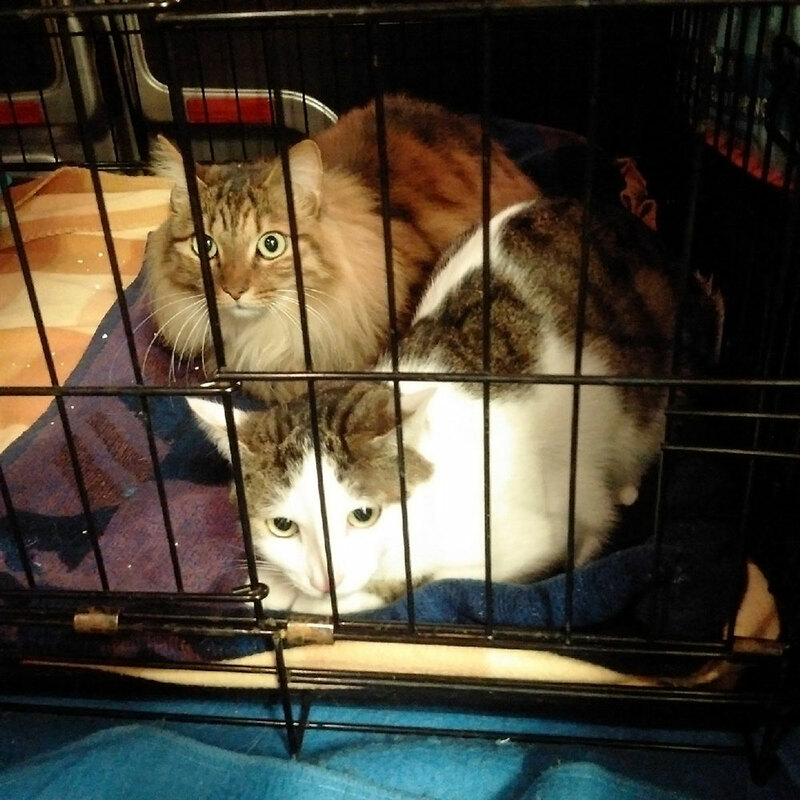 Laura and the cats flew into Paris Charles de Gaulle airport, where courier Richard collected them and drove them via the Eurotunnel into the UK. 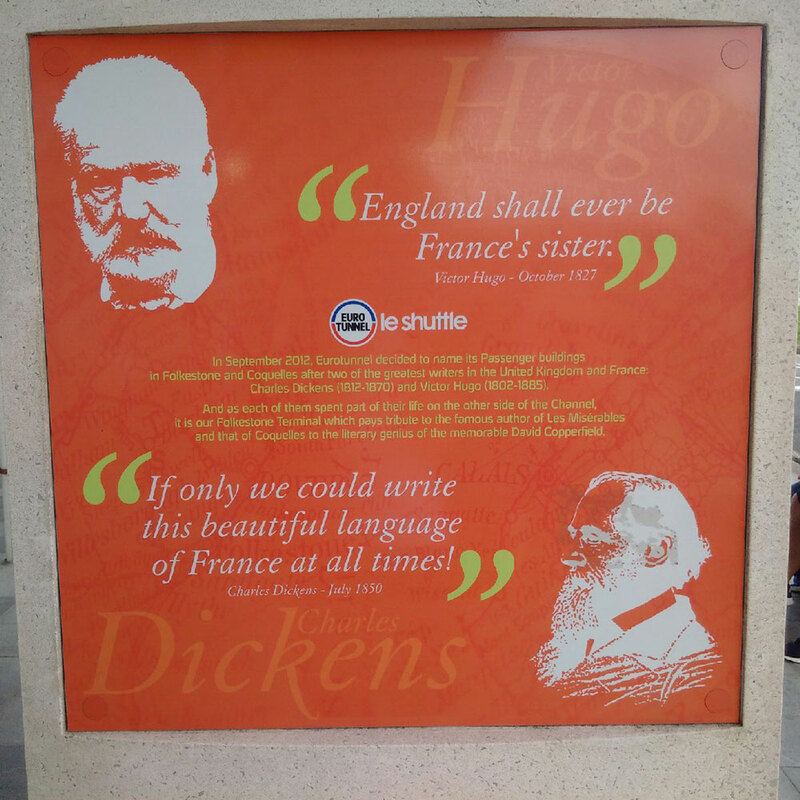 Did you know the passenger buildings at either end of the Eurotunnel are named after Victor Hugo and Charles Dickens? All rather gorgeous on these trips. I did not know that about the Eurotunnel buildings! there are some very handsome cats on this trip. They’d better keep Grizzly in on Sunday night! Let’s hope they don’t change them after the divorce 😉 Grizzly is such a gorgeous hunk, he needs to be persuaded to keep out of harms way. Above and beyond. Great work. It’s great when we can help out in difficult situations. Grizzly made it, finally! He’ll have a few mews with courier Richard if he ever sees him again 😀 We just wonder how quickly the UK will be clamouring to get back into the club? Beautiful animals. So well-loved and so well-cared for! Good job! It’s great to be able to help out, even at the last minute. Oh I’m glad to hear that Grizzly’s “desire” (!) to wander might be curbed a bit after his surgery…..it’s a dangerous world out there! Everyone else looks perfectly happy and I’m sure there will be smiles all around when the reunions happen! We always wish safe travels for you and your passengers as you journey around Europe. The travelers today are marvelous!! I Love the sign for the Eurotunnel buildings! Isn’t it a wonderful sign — hopefully we can remain on as friendly terms after the ‘divorce’.